Given the huge storm that has been raging over the (faux) Planned Parenthood controversy, stirred up over videos released by an antiabortion group, it's no surprise that abortion came up in a major way during the Republican debate Thursday evening. Of course, being conservative Republicans, the candidates had nothing encouraging to say about the future of abortion rights were they to become our next president. 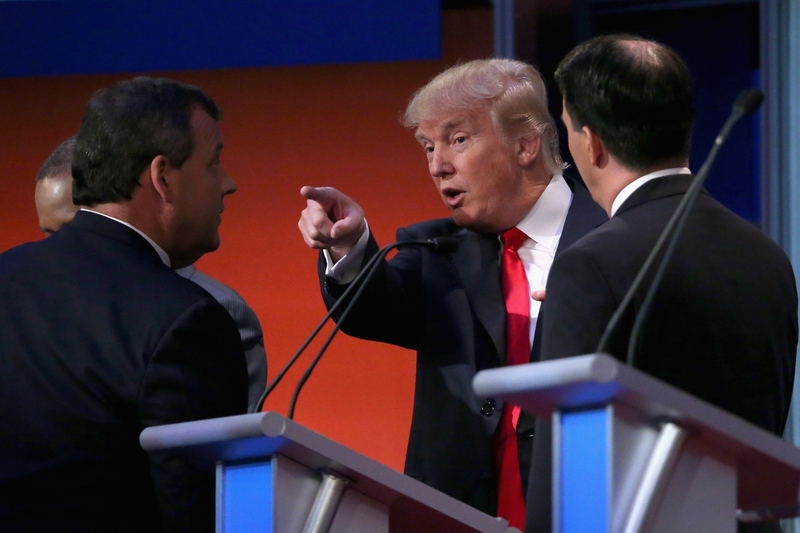 In fact, some of the Republican debate quotes about abortion were pretty terrifying. Going in, we all knew that each of the candidates participating in the debate were anti-abortion, but hearing them take so much delight in their views felt extremely unsettling. Once the topic of Planned Parenthood and abortion was breached, the candidates were more or less falling over themselves to prove just how much they despise abortion, and what they've done in the past to restrict access to safe and affordable abortions. The candidates' legislative track records speak louder than any of their words on Thursday evening ever could, but even so, they seemed to take some level of delight in vehemently declaring just how anti-abortion they are. So here, to remind us why we need a pro-choice candidate in office again come 2016, are some of the most intense anti-abortion quotes from the GOP candidates. Scott Walker never did give a straight answer to Kelly's question about whether or not someone should be allowed to have abortions if their life are at risk. The moderator's challenged Bush on his board membership with the Bloomberg Foundation, who has very publicly given thousands of dollars to Planned Parenthood. Bush was all too eager to jump in and point out all the ways he's restricted abortion access in Florida. Marco Rubio seems to think that as president of the United States, he would have power over abortion policies around the globe. Mike Huckabee alluded to the idea that he would repeal abortion access laws, because he's more interested in his religion's angle on abortion than the Supreme Court's. “That child today is a total superstar — a great, great child.” — Donald Trump on his friend who nearly had an abortion, but decided against it.